A new course for people with Arthritis and Fibromyalgia starts shortly in the Curum, Claremorris. The Mayo Branch of Arthritis Ireland are hosting a 6 week programme on bringing BACK Balance into your life for people living with Arthritis and Fibromyalgia based on the Alexander Technique. This course will teach you practical skills in improving your posture, taking pressure of your joints and muscles, Reduce pain and have more ease and poise. 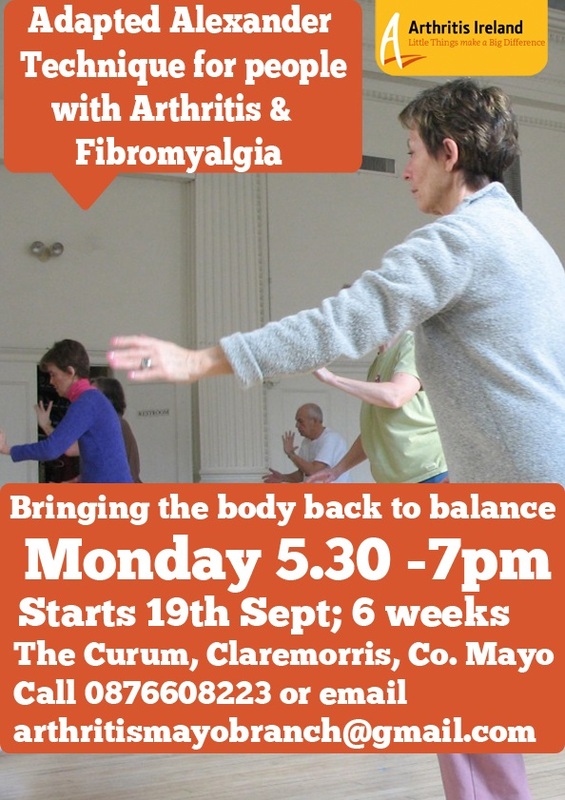 Starting Monday 19th September at 5.30pm in the Curum, Claremorris.